"What a joy it was to be part of the Science and Nonduality conference. This year I was honored to be a plenary, mainstage, presenter. Our talk, "A Key to Collective Awakening: Teaching Teens to Inquire" received a standing ovation and generated a great deal of new interest in the work that we do. 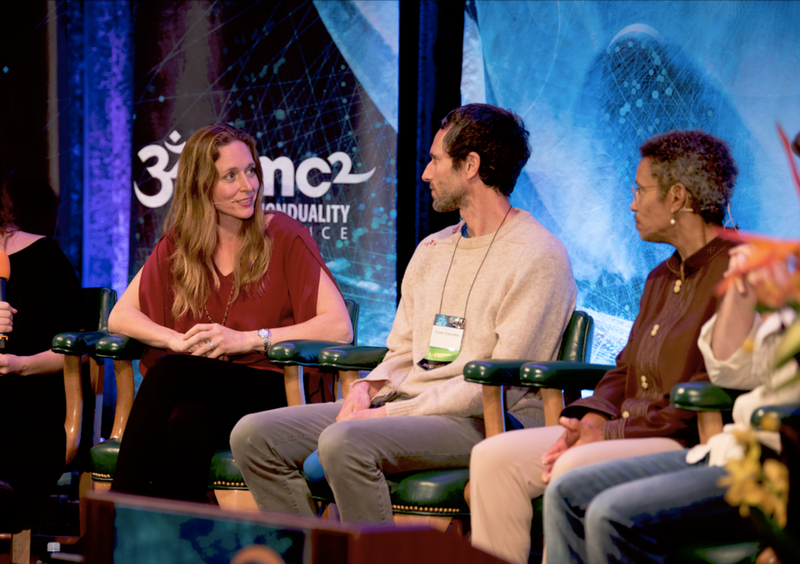 I was also part of an engaging panel discussion about sacred activism facilitated by Vera de Chalambert with Deborah Johnson, Charles Eisenstein, and Rory McEntee. Wonderful to see space being given for how to embody our experience of oneness in the world, as well as to shed light on what often stands in the way. I was impressed by the amount of heart that infused this years conference and offer many thanks to all those who assisted in making this trip happen!"